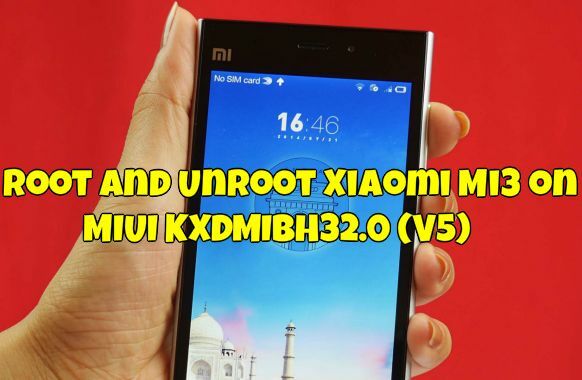 If you are the Xiaomi Mi3 android smartphone user and recently update your device with the new MIUI KXDMIBH32.0 (V5) stable rom and looking for the way to get the root access on your device. So now you are at the right place, today we’ll show you how you can easily root and unroot the Mi3 smartphone without losing your data. Rooting has lots of benefits, once the device is rooted you can install custom roms, install rooted application etc, check out some of the rooting advantages here. This guide is only for the Xiaomi Mi 3 user who are using the latest MIUI KXDMIBH32.0 (V5). The process is very simple and all you have to download two root and unroot file and flash it them with the help of phone update application and you can root and unroot your device. 1. Download the root.zip file on your desktop and don’t extract the folder. 2. Put these files on in the SD card of your phone. – Not inside other folders. 3. Now open Updater app on your Mi 3 phone, click menu – select “select update package option”. Then select the “root.zip” that you downloaded on step 1 and update. Now your phone will ask you to reboot. Select reboot now. 4. Reboot your system now. Go to Security app – Permissions – Root permission – Turn on. U have root access now. 4. Now open Updater app on your Mi 3 phone, click menu – select “select update package option”. Then select the “unroot.zip” that you downloaded on step 2 and update. Now your phone will ask you to reboot. Select reboot now.